Here we are in early April and finally the wild blooms are beginning to show themselves on the banks around Waternish. 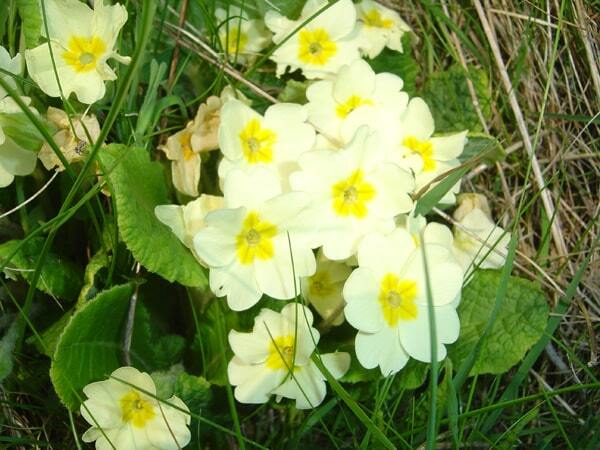 As with a cultivated garden when snowdrops, crocuses and daffodils mark the progress of the year to Spring, it is the wild primrose which does the same in the wild. It is wonderful to note that they have started to show themselves on the banks along the shore between Stein and Camus Lusta and on the roadside facing Loch Bay at Lusta. It is too early to know whether it will be a good year for them but their mere presence is enough to cheer the heart. They love the sun which is why they grow on south and west facing areas so they can lap up as much as possible. But please remember they are protected! !